Note: This post was created back in July 2015, I have since purchased a new astrophotography telescope, the Explore Scientific ED102 (The number 1 telescope on this list)! 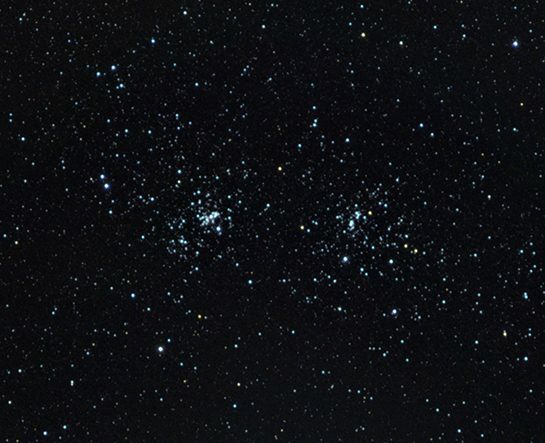 So you’re in the market for an astrophotography telescope, are you? 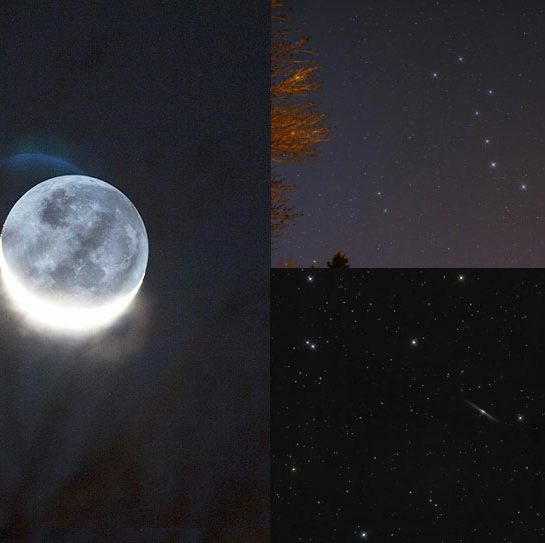 There have never been so many affordable options for the amateur astrophotographer on a tight budget. I am often asked which telescope I use, and which one I would recommend for beginners. 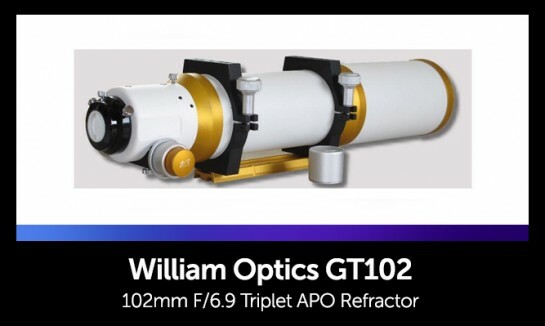 The quick answer is a high-quality, doublet or triplet refractor. Larger models can be very expensive (and heavy!) due to the high-quality ED glass used. 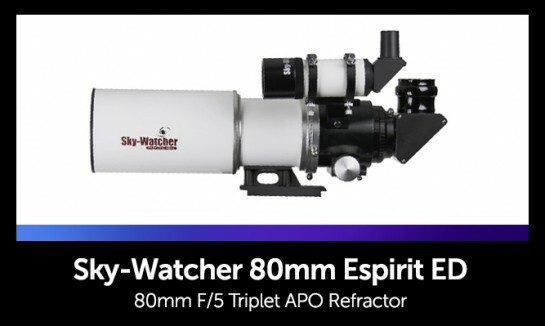 I think you will be quite surprised at the performance of a small 65-80mm refractor such as the Explore Scientific ED80 I currently use for astrophotography. 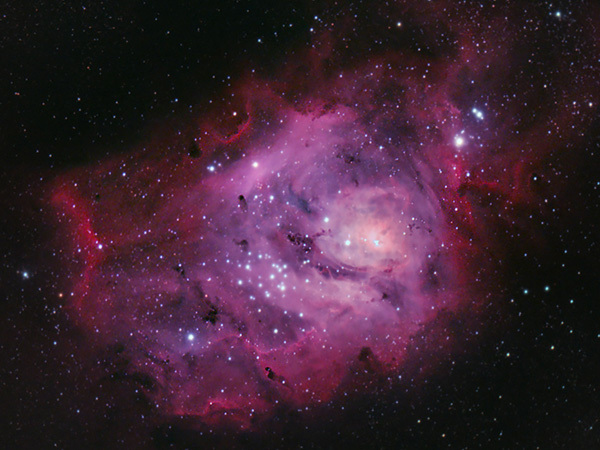 To view the types of wide-field images I have taken using this small telescope, please visit my photo gallery. An astrophotography telescope buying guide? I thought you were an amateur? Yes, it’s true, but I decided that since I was doing all this intense research into which telescope I will be buying next, I would share it for others in my position to help streamline your search. I have researched refractors made by Orion, Meade, Sky-Watcher, Tele Vue, Takahashi, Vixen, Astro-Tech, Explore Scientific, Stellarvue and William Optics. Please remember that this is my personal list, and I am by no means an expert! I tried to keep a high standard when browsing for telescopes. All of the telescopes on this list are apochromatic refractors. I hope this top 10 list is useful for anyone looking to buy a refractor telescope for imaging under $2000 US. 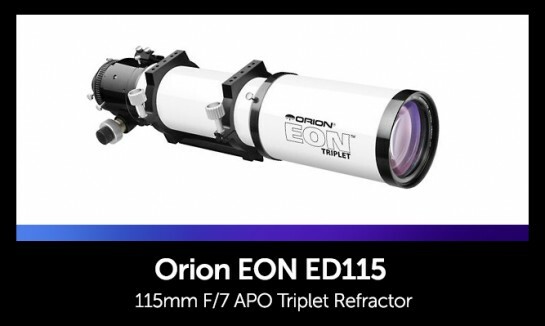 Thanks to Marc Fitkin, there is an extremely useful and insightful review of this telescope on his blog. He notes the ability to use this scope as a prime lens for daytime photography as well as astrophotography. 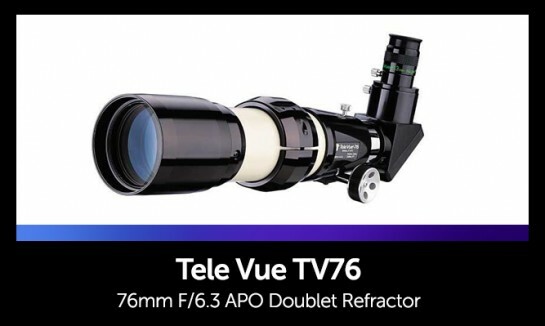 Tele Vue telescopes have a reputation for being top-quality instruments that will last a lifetime. Because I will be using this scope for astrophotography exclusively, a model that excels in visual use has less of an impact on me. The reason this high-quality scope lands at 10 on my list is because it is at the extreme end of my budget, yet has an objective of only 76mm. Maybe one day I will be in a position to purchase premium-priced optics, but not yet. This is another model that comes with an aluminum case, diagonal, and a finder scope – a huge bonus for me. The heavy-duty Sky-Watcher exclusive “Helinear Track” focuser is a nice touch. This scope actually includes a thread-on field flattener and adaptor for Canon cameras! A major selling point for someone like me. I do, however, wonder how much of an upgrade this would be to my current ES ED80. The built-in dovetail is a turn-off for some, but I think it is a great feature. 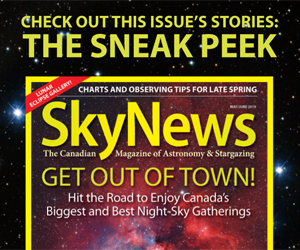 It is nice to see companies like Sky-Watcher catering to astrophotographers, a trend I am sure that will continue. I can’t believe there is actually a Takahashi under $2000! 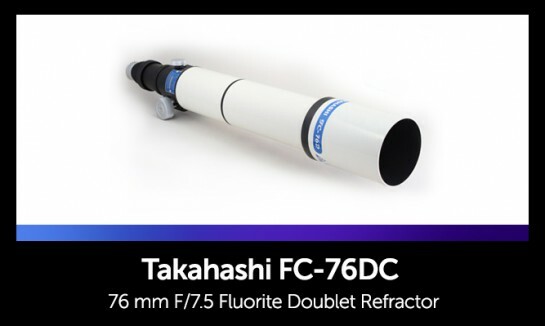 Takahashi has a reputation for building a superior quality astrophotography telescope. This fluorite doublet is tied with the Tele Vue for smallest objective on this list. This instrument has the highest quality glass of all the telescopes on this list, and is very lightweight (4 lbs). This telescope operates at a f/7.5 focal ratio, and includes a fixed dew shield. The downsides for someone in this budget are the small objective and 1.25″ focuser (though it can be adapted to 2″ with an additional accessory). The views through this “Tak” have been described as absolutely stunning. The dual speed focuser, 4.1″ objective, and overall weight of just 8 lbs is what has me interested in this white beauty. Not to mention that it’s short tube length of 31.5″ makes it extra portable. A handy in-depth look at this instrument written by Pernel Johnson can be found here. 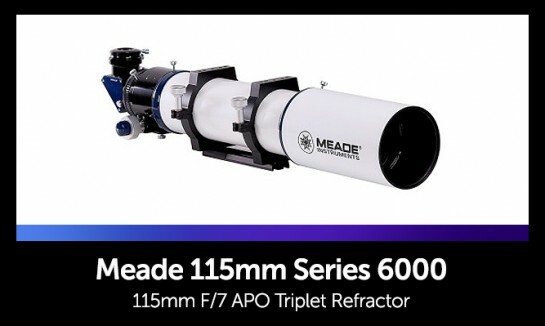 Meade has catered to the next generation of imagers with this astrophotography telescope. The older version of this scope was almost identical to the Orion EON 115mm. The newer Series 6000 model uses an upgraded FK61 extra-low dispersion glass. Some notable features are the 3″ Crayford focuser, sliding dew shield, and overall build quality. 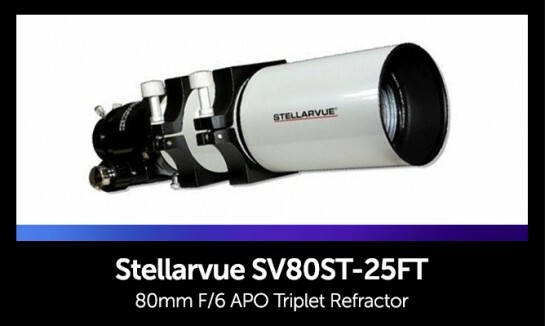 Forum users on astronomyforum.net reported that this Stellarvue Apo has an easy-to-use, well-built focuser. It allows the entire imaging train to screw together, giving you accuracy and stability when imaging. A flattener is a must-have to accompany this scope to eliminate coma, a trait many of these refractors have indeed. User reviews are very high for this precision instrument with the focuser being the biggest draw. 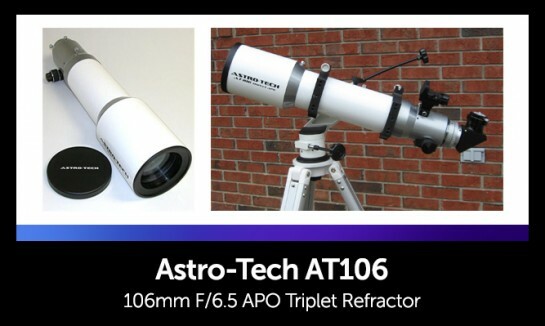 Sky and Telescope reviewed this scope back in 2009, saying: “the Astro-Tech AT106 provides all the benefits of a first-class 4-inch apo but without the premium price. I highly recommend it.” I have found a number of positive reviews about this modestly sized refractor. 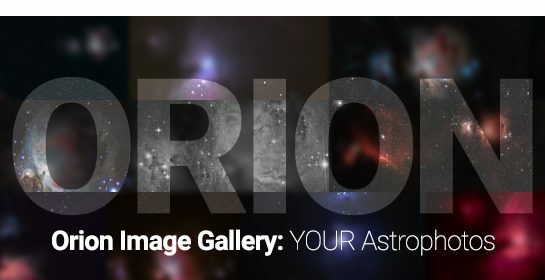 There is a great in-depth look including sample astrophotos at the scope on Stargazerslounge.com. This astrophotography telescope uses high-quality Ohara glass, and comes with a dual speed 2.7″ Crayford focuser. At just under the $2000 range, (including an aluminum case) This telescope is definitely a top contender for my hard-earned cash. Update: It appears as though this telescope is no longer available. This quality instrument offers excellent color correction by way of the FK-61 extra-low dispersion (“ED”) optical glass in its air-spaced triplet objective lens. With a focal length of 805mm at F/7, this is a fast, medium wide-field scope. The extendable dew-shield and multiple knife-edge baffles protect your eyes from off-axis reflections and glare to ensure a view with excellent contrast. The extra aperture for the price is what puts this scope near the top of my list. 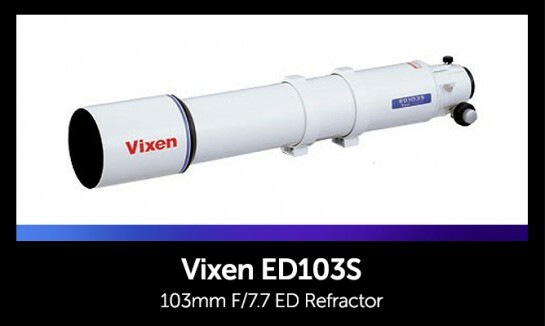 The massive 3″, rotatable , dual-speed focuser is an attractive feature for astrophotographers. There are many fans of William Optics, and for good reason, they make quality instruments for a fair price. 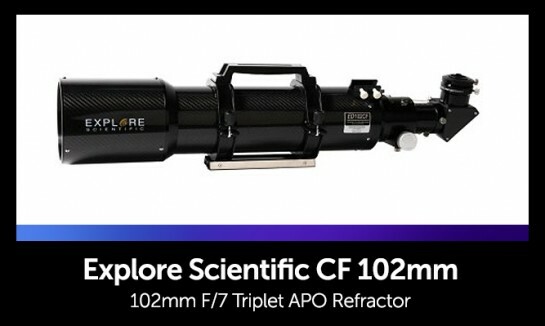 The focal ratio, 102mm diameter objective, and reputation of this scope make this one of my top choices for “next scope”. The optional DDG digital readout on the focuser is a neat feature, and would help me achieve accurate focus with my camera. I own the WO 72mm Megrez Doublet, and have had many great experiences with it for both astrophotography, and daytime nature photography. Update: It appears as though the older version of this telescope is no longer available, and only the 20th anniversary edition is now for sale. Unfortunately, it now has a price tag that exceeds $2,000 USD! However, if you are looking for a more affordable option, have a look at the William Optics Z61. With over 4″ of aperture, and weighing just 7 lbs – Explore Scientific calls this the “perfect balance between portability and light gathering power”. The HOYA ED glass is virtually free of chromatic aberration, and produces bright high-contrast images. The carbon fiber tube is highly temperature stable, eliminating the need for focus changes with temperature fluctuations. I am not going to lie, I am a little biased towards this telescope because of my unbelievably positive experience with the ED80. Update: June 2016 – I bought this telescope! Well, there you have it, my top 10 list for anyone in the market for an astrophotography telescope. As you can see, I plan on sticking with Explore Scientific. At the end of the day, it comes down to value for me. If you have any hands-on experience with any of these telescopes and would like to comment, please do so below – I would love to hear them! How do you like the focuser on the ES CF 102mm? Is it easy to use to focus and maintain for astrophotography? Funny you mention that – I will be upgrading to a Pegasus motorized focuser this week! However, I found the stock focuser to work fine for astrophotography purposes. The main thing to remember in to screw/unscrew the locking bolt underneath the draw tube once you have found focus. I’ve had to use a number of extension tubes for different cameras when using the ED102. Hi Trevor. Would you recommend the WO GT81 or the Meade Series 6000 80mm Triplet? And why?